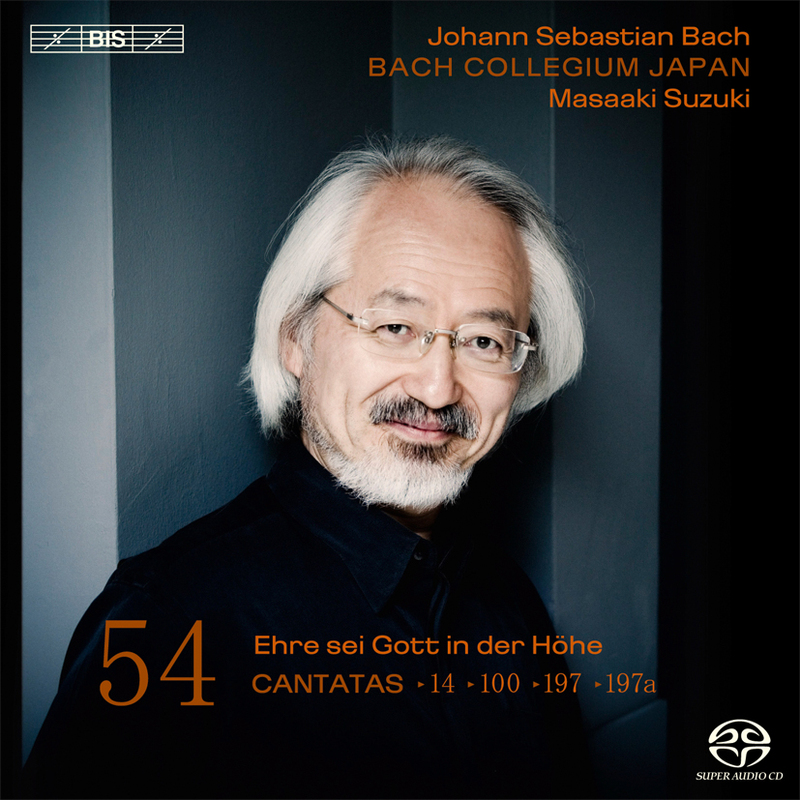 As the penultimate volume in the acclaimed cycle recorded by Masaaki Suzuki and his Bach Collegium Japan sees the light of day, it is a sobering thought that as many as a hundred of Bach's church cantatas may have been lost. The exact number would be difficult to ascertain, but what we do know is that Bach probably composed at least one more complete set of cantatas – for the church year of 1728-29 – and of this set only nine are extant. The fragment Ehre sei Gott in der Höhe, BWV197a, apparently intended for Christmas Day of 1728, is one of these. Bach's autograph score lacks no fewer than 24 pages, meaning that the first three movements and a large proportion of the fourth have been lost. We are fortunate, however, in that nine years later Bach reused parts of the work in the large-scale wedding cantata Gott ist unsre Zuversicht, BWV197. This has made it possible to reconstruct the missing part of the fourth movement – an alto aria addressed to baby Jesus in the manger – and also allows for interesting comparisons between the two versions. The other two works included in this volume were both composed around 1735, and give rich evidence of Bach's versatility in terms of style. The contrast is striking between the decidedly fashionable bass aria BWV100/4, with its syncopated melody and gossamer string writing, and the highly intricate counterpoint that Bach lays out in Wär Gott nicht mit uns, the opening chorus of BWV14.